We take care of all your auto body & collision repair needs. Car-o-liner vision – computerized 3-dimensional electronic measuring system that makes sure that your vehicles frame & structure are within factory specifications. Car-o-liner frame straightening equipment – industry leading, up to date standards. Factory OEM parts & procedures (Original Equipment Manufacturers) – matching panel replacement parts and procedures that come directly from your manufacture’s statements and recommendations. CCC ONE Estimating platform – allowing precise & accurate vehicle parts and repair information, connecting us with your insurance carrier and having better communication options to manage. 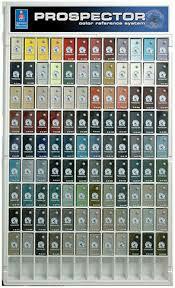 Precise factory color matching – using an industry leading Paint line. 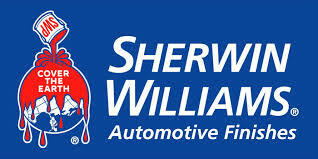 Providing high performance and industry leading products, the Sherwin-Williams Automotive Finishes line keeps us on the cutting edge of paint technology. Vehicle rental assistance – we have partnered with Enterprise Rent-a-Car, which allows us to move forward with a quicker hassle-free way of helping you through the process of rental coverage and pick-up services. If an insurance claim is required, you can leave your vehicle at our auto collision repair shop for a thorough inspection so we can work with your insurance provider, making sure a quality repair is done.